The LMCRM-SRIW is an L-mount bracket for a single CRMSC-SRIW or CRMS-SRIW surround. The bracket can be connected to any side of the cabinet with one M6 bolt each; Typically, up to 4 L-mounts are used. 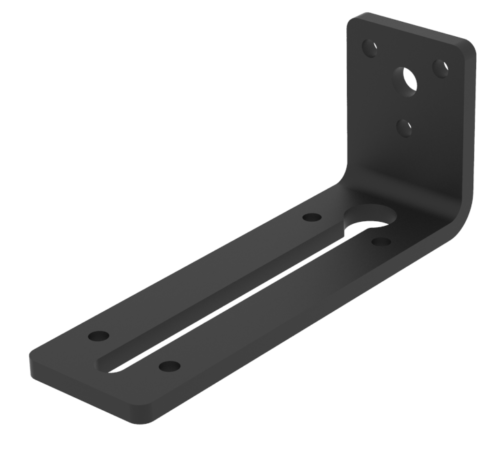 The bracket is designed for in-wall-or in-ceiling mount, and is to be mounted through the (bolt) slot hole, or the smaller three (screw)holes.